Ryanair’s attempt to fix its website appears not to have worked. 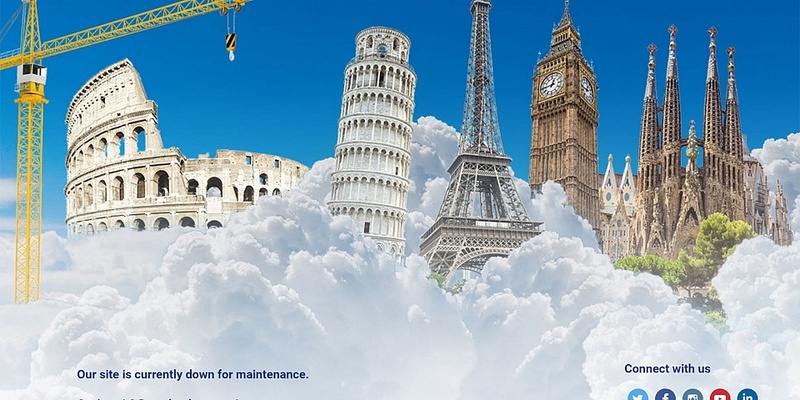 Both last night and this afternoon it has been replaced by a picture of famous landmarks and the message ‘our site is down for maintenance’. This follows a scheduled shut-down last week when passengers were warned that they would not be able to check-in or make online bookings for a 12-hour period. The airline charges passengers £55 to check in at the airport, and has previously refused to waive this penalty when the website hasn’t been working. Ryanair currently has the joint-lowest rating for customer service in our best and worst airlines survey. Customers have been complaining on social media that they have had problems with the website for at least a couple of weeks. Yesterday the airline said that it had had a ‘brief server issue, which was quickly resolved’. However, as of late afternoon on Tuesday 20 November the website did not appear to be working. Some customers complained that they’d already been charged the £55 after they weren’t able to check-in online. Others posted screengrabs of the airline advising them to ‘try using a different browser’.